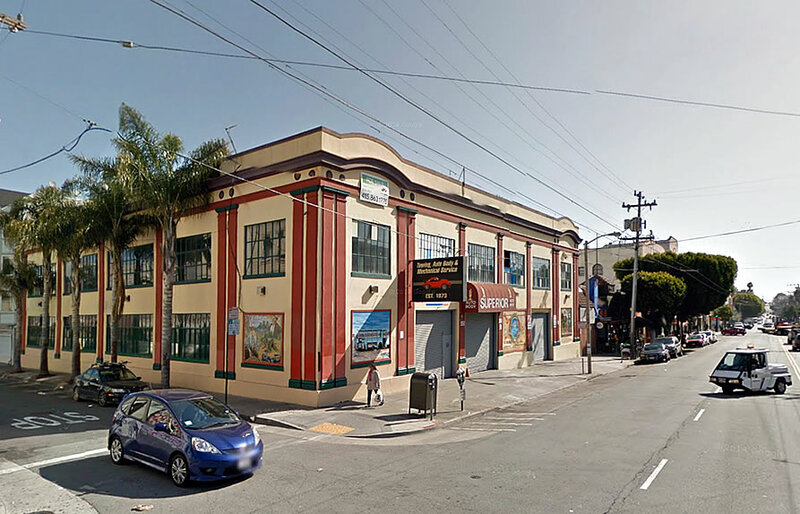 MX3 Ventures has paid $8.7 million for the two-story Superior Automotive shop at 3140-50 16th Street between Valencia and Guerrero in the Mission and has hired BAR Architects to design a five-story building with up to 25 condos and 8,000 square feet of retail to rise on the site. As reported by J.K. Dineen, the transaction works out to about $350,000 per buildable unit for the land and likely sets a new record for multi-family development sites in San Francisco. And as plugged-in people know, while the owners of the gas station at the corner of Castro and Market have been asking $500,000 per buildable unit for their 376 Castro Street site, the average price for a development site in San Francisco was averaging closer to $150,000 per buildable unit last year. Can’t wait to see their design for preserving this historic façade while mixing in Victorian flourishes. Also, the neighbors are gonna be thrilled. Next up: The [large] gas station Guerrero/16th.Can’t imagine it’s long for that site. I live right by that gas station. They had folks out doing abatement work for several weeks this/last year. BAR has been doing more and more in the city—all of which seems great. I like it. They’re also working on the upcoming residential building deep Mission on 18th and Florida yea? Is this building designated a historic structure? development and renewal is the mark of a civilized culture. What is the opposite? Most people consider the opposite of civilized society as barbarism. A barbaric society is one in which people treat each other poorly, where ethics are not a consideration, where might makes right, where the powerful abuse the weak. The opposite of barbarism — civility — is treating other people well. It has nothing to do with tearing down nice, old buildings and building expensive and ugly glass and steel boxes to the sky for tasteless coder dweebs, all in the name of a get-rich-quick libertarian yahoo ethos. Really? If that is the lens in which you view proposed development, then there is nothing to discuss. Ahh, I got it. Civility = rent control and subsidized housing. Right. And gutting the Fillmore was a sign of civilization on the march. Let’s not be so sure of ourselves as they were then. Gutting the Fillmore was development by government fiat, not free citizens determining what they want to do (the sellers of the current building, the developers, the eventual buyers of the units). Of course those of us in the civilized world reject communism and other favorites of two beers. Great looking building. Hope they keep the bones and the palm trees! Not surprised that the location on 16th sold, and given the location it should be an easy sell when developed. These are the kind of terrible deals I’ve been seeing lately. A lot of investors are [throwing] prudence out the windows. 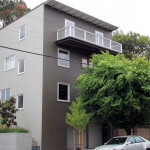 And btw, the 376 Castro property is entitled, where as this is not, and nobody will to touch 376 at the price. The pro forma IRR on that property was subpar to say the least as I’m sure this it is with this property. Meanwhile, good luck getting through planning with all those great mission neighborhood groups! C’est la vie! “Great looking building” ? Really? Cheap pilaster (faux columns) between large expanses of plaster? I hope they tear it down and put up something that doesn’t feel like a 1980s pomo paintjob. Glass and steel, perhaps. I agree on the palm trees though, keep those. $350 thous per door, sans entitlements? Sheeetttt, the mish is done. Flippers only, no more buy and holds. Glad I got mine last decade, when the gettin was good!